Return to the Digital World on January 31, 2017, in the upcoming PlayStation 4 title Digimon World: Next Order Story from Bandai Namco Entertainment. In this new title, players will be able to select between a male or female protagonist as they try to find a way back to the real world and stop the Digital World from total destruction at the hands of Machinedramons. In Digimon World: Next Order Story, players will be able to choose between either a male or female protagonist as you team up with two different Digimon partners. You’ll try to find a way back to the real world while also save the Digital World from total destruction at the hands of the Machinedramons. 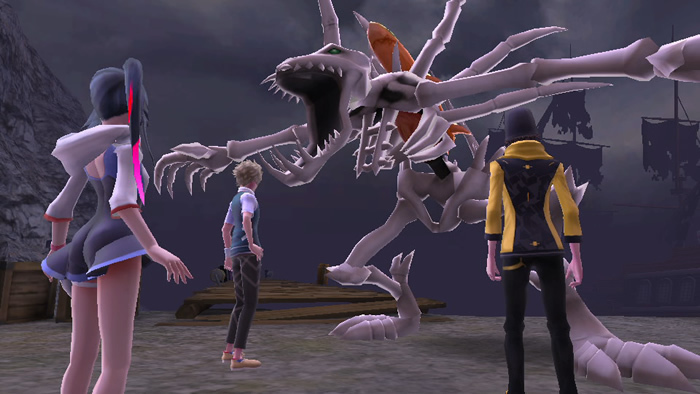 Next Order Story will feature 200 different Digimon that players can meet, recruit and interact with. Players will also be able to train their Digimon in preparation for battle which will help improve their stats and help them digivolve as they prepare to face some powerful foes. Bandai Namco Entertainment also revealed those who pre-order the game will receive two game soundtracks, one for Digimon World: Next Order and another to the original Digimon World which was released back in 2000, as well as an Omegamon Ultimate Digivolutuon Core and an Adventure aid set.